Welcome back, former federal agent Alexis Parker. Alex always said it’d be a cold day in hell before she’d step foot inside the OIO again, and the blizzard conditions outside prove her declaration true. But clipping on the badge doesn’t mean taking a seat behind a desk or investigating a crime scene. It means infiltrating a local drug ring led by the city’s most ruthless gang, the KXDs. Alex’s main goal is to determine the international source of the drugs, but as usual, nothing can ever be that simple. While working undercover as a junkie stripper, Alex has to defend herself against gangbangers and perverts while convincing Steele, a KXD lieutenant, that she’s just a girl willing to do anything to feed her addiction. Steele’s demands start out simple, requiring Alex to use her position at the club to pass along product, but soon he wants her to branch out. The situation goes from bad to worse when she hears whispers that a gang war is brewing and getting in deep enough to uncover the evidence might mean not being able to get out alive. The gauntlet is thrown down, and the KXDs have declared open season on their rivals. 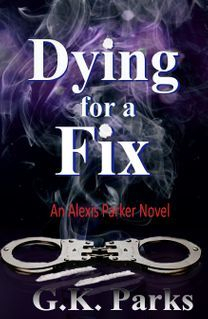 Now that additional lives are on the line, Alex fears her newest reassignment will be a repeat of what she imagined was the final chapter in her OIO career. Casualties aren’t acceptable, and the only life she’s willing to put on the line is her own. It’s no wonder she isn’t much of a team player. Being a lone wolf minimizes the risks, or at least, it should. But war leads to death and destruction, and loss might be inevitable.